Popular Vehicle Alert! This 2012 Land Rover Range Rover Evoque has been viewed by 219 shoppers in last 19 days. 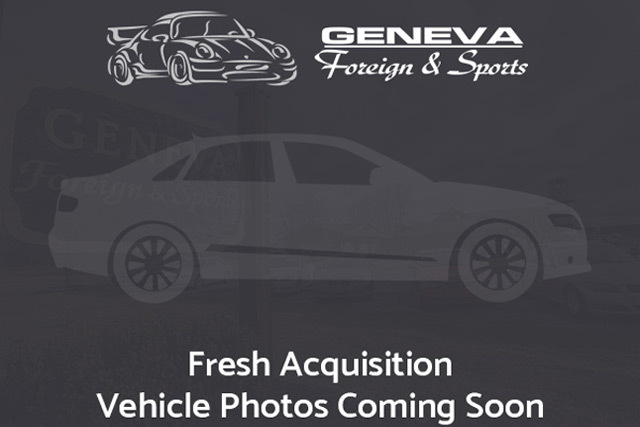 I wish to receive emails from Geneva Foreign & Sports regarding this Used Land Rover Range Rover Evoque. I would like to schedule an appointment for a test drive on the 2012 Land Rover Range Rover Evoque stk # CH697014. This Land Rover Range Rover Evoque Pure Premium defines excellence in an SUV. It has the convenience of limitless boundaries paired with city sophistication. Put performance, safety, beauty, sophistication and all the right amenities into a car, and here it is! Now you can own luxury without the luxury price tag! This 4WD-equipped vehicle handles any condition on- or off-road with the sure footedness of a mountain goat. With unequaled traction and stability, you’ll drive with confidence in any weather with this Fuji White 2012 4WD Land Rover Range Rover Evoque Pure Premium. It’s not a misprint. And the odometer isn’t broken. This is a very low mileage Land Rover Range Rover Evoque. A rare find these days. Marked by excellent quality and features with unmistakable refined leather interior that added value and class to the Land Rover Range Rover Evoque If, upon choosing the road less traveled you find yourself lost, relax and remember this beautiful car has navigation. The interior of this Land Rover Range Rover Evoque Pure Premium has been through meticulous inspection and could almost pass for a brand new vehicle. If you’re looking for world-class speed, acceleration, cornering and handling, don’t blink because you’ll miss this truly amazing automobile. This 2012 Land Rover Range Rover Evoque Pure Premium is not like every other automobile. The Land Rover was equipped with many of the added features that make this vehicle such a unique automobile to own and drive. Unique and nearly impossible to find, this 2012 Land Rover Range Rover Evoque Pure Premium is a collector’s dream come true. Land Rover’s Range Rover brand is known for building go-anywhere vehicles that provide a healthy amount of luxury and technology. For 2012, the company has launched the Evoque, which is aimed at achieving better fuel economy. But this is no tarmac-only off-road imposter — Haldex all-wheel drive is standard, with several electronic settings for a variety of conditions, and power comes from a 2.0L turbo inline 4-cylinder engine that makes 251 lb-ft of torque. Compared to the Audi Q5, Volvo XC60 and BMW X3, the Evoque is a strong contender with a look all its own. No open recalls reported to CARFAX. Check with an authorized Land Rover dealer for any open recalls. 12/03/2014 12,433 Keeler Motor Car Co.
12/16/2014 12,455 Keeler Motor Car Co.
12/16/2014 Keeler Motor Car Co. This CARFAX Vehicle History Report is based only on information supplied to CARFAX and available as of 4/2/19 at 3:24:31 PM (CDT). Other information about this vehicle, including problems, may not have been reported to CARFAX. Use this report as one important tool, along with a vehicle inspection and test drive, to make a better decision about your next used car. CARFAX defines an owner as an individual or business that possesses and uses a vehicle. Not all title transactions represent changes in ownership. To provide estimated number of owners, CARFAX proprietary technology analyzes all the events in a vehicle history. Estimated ownership is available for vehicles manufactured after 1991 and titled solely in the US including Puerto Rico. Dealers sometimes opt to take ownership of a vehicle and are required to in the following states: Maine, Massachusetts, New Jersey, Ohio, Oklahoma, Pennsylvania and South Dakota. Please consider this as you review a vehicle’s estimated ownership history. 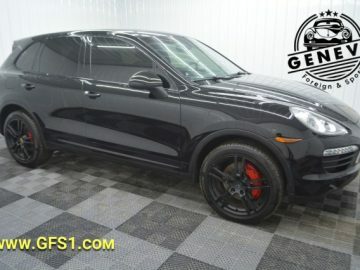 Stop by Geneva Foreign & Sports Geneva, NY and check out this Used 2012 Land Rover Range Rover Evoque stk#CH697014 today. With Four Wheel Drive capabilities and a 2.0L Si4 Aluminum I4 Turbo Engine this Range Rover Evoque won’t last long.